Yahoo has claimed that Facebook infringes on its patents, and is asking the social networking giant to either license its technology or face legal action. Although Yahoo is a waning force on the global internet market it still holds some crucial IP rights; something that could prove problematic for Facebook. 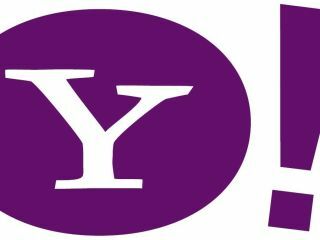 In a statement Yahoo wrote: "Yahoo has a responsibility to its shareholders, employees and other stakeholders to protect its intellectual property. The timing, just ahead of Facebook's initial public offering, is likely no coincidence; with Yahoo potentially earning shares in the company that could prove hugely profitable. However, a course told the Financial Times that this was not a similar situation to the one that saw Yahoo earn Google shares ahead of its own IPO through a patent claim. Instead, the timing is more to do with the arrival of new chief executive Scott Thompson. Thompson was brought in to steady the Yahoo ship, which has been taking on water for some time. Yahoo was once the foremost player in search, a crown now held by Google, and remains a powerful media hub, but a decision to avoid a $47 billion merger with Microsoft is now seen as a critical mistake for the company. Interestingly, back in October 2011 Google was linked with a move to buy out Yahoo, and a significant stake in Facebook would make it a much riper fruit for the plucking.